・Masahiko Asano and Dennis Patterson. “Holding on to Power." (In) Gill Steel (Ed.) Power in Contemporary Japan, Palgrave Macmillan, 2016. ・Masahiko Asano and Bryce Wakefield. 2009. 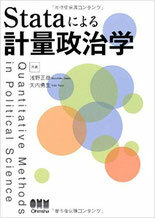 “Political Market-Orientation in Japan.” (In) Jennifer Lees-Marshment, Chris Rudd & Jesper Strömbäck (Eds.) Global Political Marketing, Routridge, 2009. 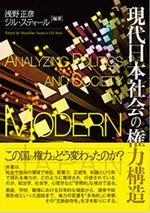 ・Yoichiro Sato and Masahiko Asano, “Humanitarian and Democratic Norms in Japan's ODA Distributions.” In Norms, Interest, and Powers in Japanese Foreign Policy, edited by Yoichiro Sato and keiko Hirata, PP.111-127, Palgrave Macmillan, 2008. ・Electoral Reform and Candidate Selection --- Japan's Liberal Democratic Party (1960-2003), Ph.D. dissertation submitted to UCLA, 2004. ・Panel Participant, American Political Science Association (APSA). 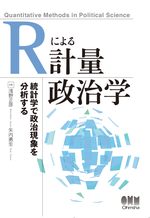 Paper: “Getting Electoral Systems to Count: Does Candidate's Smile Matter in Japan?" ・Panel Participant, International Political Science Association (IPSA). The 2018 IPSA World Congress in Brisbane, Australia. Paper: “Getting Electoral Systems to Count: Does Candidate's Smile Matter in Japan? ・Roundtable presentation, Association of Asian Studies (AAS). The 1998 Annual Meeting, at Washington Marriot Wardman Park Hotel, Washington D.C.
Paper: "Should I stay or should I go? --- Why Does a Politician Leave and Join a Party? Democratic Party of Japan (DP) and Party of Hope (POH) in Japan’s 2017 House Election"
・Panel Participant, Midwest Political Science Association (MPSA). The 2016 Annual Meeting, at Palmer House A Hilton Hotel, Illinois. the Emergence of a Conservative Majority," (April 9. 2016). ・Panel Participant, Association for Politics and the Life Sciences (APLS). The 2015 Annual Meeting, at University of Wisconsin, Madison. 2015 Local Elections in Japan," (October 23, 2015). The 2014 Annual Meeting, at Hilton Washington, Washington D.C.
・Poster Session, American Political Science Association (APSA). Coauthored with Dennis Patterson (August 31, 2007). The 2006 IPSA World Congress in Fukuoka. ・Panel Participant, Association for Asian Studies (AAS). The 2000 Annual Meeting, at San Diego, California. ・Panel Participant, Asian Studies on the Pacific Coast (ASPAC). The 1999 Annual Meeting, at San Diego State University, San Diego, California. Paper: “What Explains the Electoral Success of Conservative Challengers? --- Japan’s House of Representatives’ Elections, 1960-1990”(June 19, 1999). The 1998 Annual Meeting, at Sheraton & Marriot Hotel, Boston, Massachusetts. Paper: “Do Mobilization Efforts by Local Politicians Matter in National Elections? Evidence from Japan.” (August 5, 1998). The 1998 Annual Meeting, at Whitman College, Walla Walla, Washington. Evidence from Japan.” (June 19, 1998). Paper: Getting Electoral Systems to Count: Does Candidate's Smile Matter in Japan?